Termites primarily feed on wood. A termite looks like a cross between an ant and a beetle. They’ve got the pincers and legs of an ant, but instead of a body in three segments, a termite appears to have two: the head with its pincers, and a soft bulbous posterior body reminiscent of a cockroach. Thankfully, termites are nowhere near the size of a cockroach. They’re usually about the size of a regular ant, and indeed the name “termite” is a Latin derivative, meaning “woodworm” or “white ant”. Termites in California are a veritable menace—especially in San Luis Obispo county, where some species of termite have been described as reaching plague proportions. Specifically, plague termites in SLO county are usually subterranean. California is home to three kinds of especially destructive termites, and ignoring their impact diminishes property values and can be quite expensive. 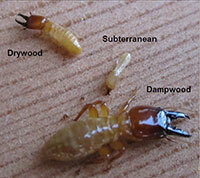 The main termites to be concerned about in SLO county are drywood, subterranean, and dampwood. Wood with moisture content below 12% is going to attract drywood termites. A colony can have as many as 2,000 separate members, and they can come from a variety of places. Furniture, for example, is a favorite haunt of the drywood termite. Often they establish multiple colonies. Thankfully, with drywood termites, colonies usually take a long time to develop. But left unchecked, multiple colonies represent a threat to a building’s structural stability. 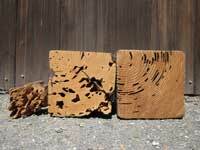 These termites treat wood as though it were the Earth ants make colonies of. They’ll make chambers in the wood connected by little tunnels. Think of perforation, and how that makes it easier to tear a piece of paper from a page. This is the same thing, but with wood. Cheap construction (unskilled craftsmanship) attracts drywood termites. Otherwise they don’t have “an in”, as it were. Look at the corner joints on a building or bit of furniture. Are they securely fitted? If not, an infestation could be imminent. There’s time to catch and stop that infestation, but it requires paying attention. It takes several for a Drywood colony to reach 1,000 individuals, so if you can catch it in time, damage can be curtailed. 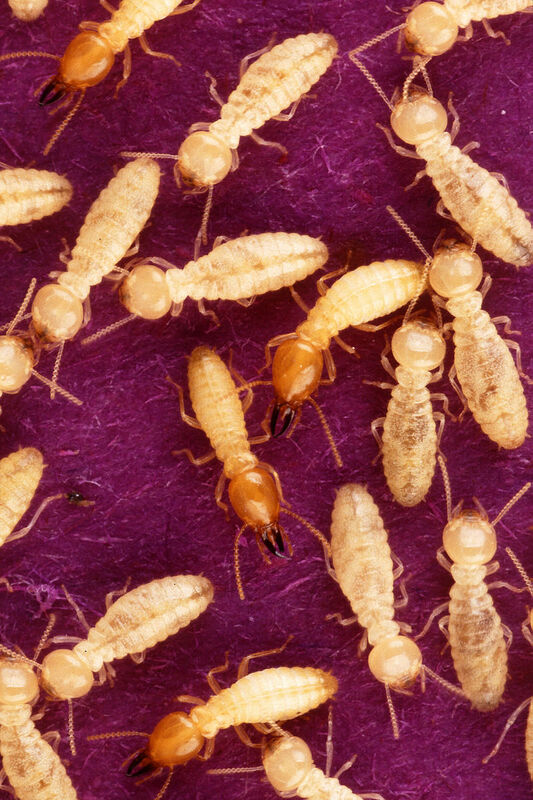 If you see drywood termites swarming, they’ve probably been there at least four years. Thankfully, there are home pest control options that offer effective termite treatment. Drywood termites don’t typically have any contact with the ground, so they don’t require soil to survive. A great way to stem their growth is to remove potential sources of food. Moisture buildup also contributes to termite infestations, so getting rid of moisture in the home helps, too. Brezden Pest Control offers advice as to entry-points and will inspect your home to see if there’s a potential for infestation, or if one has already occurred. These are the types you’ve probably seen on YouTube building massive chimneys of mud. In South-Western California, they’re located below the frost-line, but above the water table. They’ll construct a tube of mud to get to your wood through the ground. Workers are usually a pale white color, as they spend their time underground and away from the sun. They honeycomb the inside of wood —they’re especially fond of Douglas Fir—and love to leave dirt behind. These subterranean termites cause literally millions in damage every year, and approximately 20% or more of homes in the SLO area are regularly affected—that’s 1 in 5. They’ll swarm after a rainstorm in SLO county—usually. Sometimes termite population levels haven’t gotten high enough to predicate a swarm, but if things have gotten that far, you definitely need some form of pest control. In an area that’s continually temperate, insect cycles don’t follow traditional seasonal segues. Brezden Pest Control is familiar with this type of termite, and they’ll check to determine whether or not you’ve got a problem. Call an inspector over to check for items like dry-rot fungus damage or other conditions that may lead to an infestation if one has yet to occur. Catching this problem early is important to preserving structural stability. But if you’ve been infested already, Brezden still has solutions. There are restoration options which help repair damages of these pests, and help you maintain your house or furniture’s construction—in most cases! Brezden also offers installation of TAP-insulation—that’s: Thermal Acoustical Pest-control. TAP keeps the house warm, reduces exterior noise, and prevents pests like termites from building colonies. 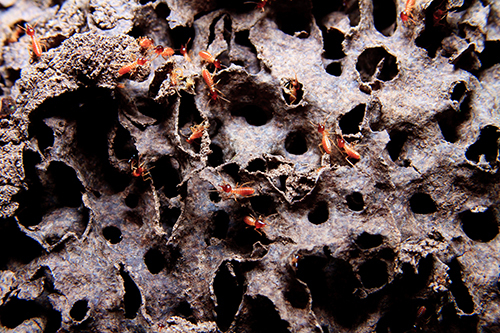 Dampwood termites prefer coastal areas, but have been found as high as six-thousand feet above sea-level. These little pests attack any kind of wood in their domain. Especially buildings with timbers that contact the soil. They spread fungus through the wood; decaying it. They nurture the fungi in their guts and defecate it as they destroy your property. While the first colonization is only comprised of about a dozen offspring, they multiply in time. As with all termites, catching the problem early is the best solution. Need a Dependable Termite Control Company? Brezden Pest Control offers solutions like TAP insulation and damage repair. An eco-friendly pest-control option founded in 1980, Brezden Pest Control can help you solve your termite problems. Drywood, dampwood and subterranean termites problems are no problem for Brezden. Infested with termites? Get rid of them! Brezden can help. 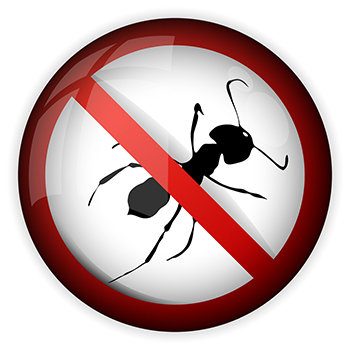 Pest inspection is key to establishing problem areas. Don’t let the termites win; call Brezden Pest Control at 800-464-9446.